The town of Beau Rivage is riddled with fairy-tale curses and enchantments that shape the lives of its inhabitants. Unfortunately, Viv and her friends know all too well that once-upon-a-times are not always followed by happily-ever-afters. 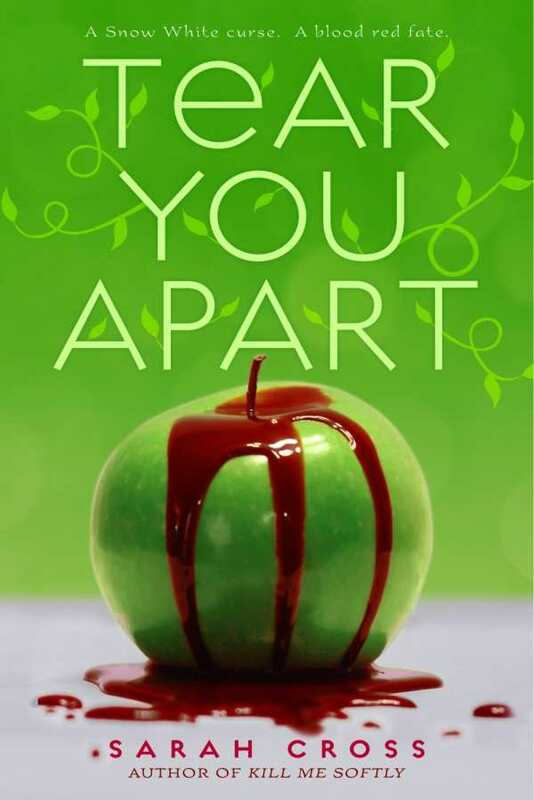 Tear You Apart, by Sarah Cross, is a contemporary romance tangled with well-known themes and players straight from the brothers Grimm. Viv, a “Snow White” who becomes ensnared in the darkness of the underworld when her prince and the boy she loves turn out to be two separate people, must face a powerful troll with a shocking secret, twelve dancing princesses, and her destiny. Following the success of Kill Me Softly, the original twisted tale from Beau Rivage, Cross once again proves that believable fears, hopes, and dreams mixed with unbelievable and fantastical circumstances is a winning combination. The relationship between Viv and Henley, her stalwart sometimes boyfriend turned “huntsman,” is tested time and again as they struggle to face the reality of living out a charmed existence, stepmothers, mirrors, poisoned apples, and all. Captivating from start to finish with a bit of magic, angst, friendship, and love, once you begin, nothing will tear you away from Tear You Apart.